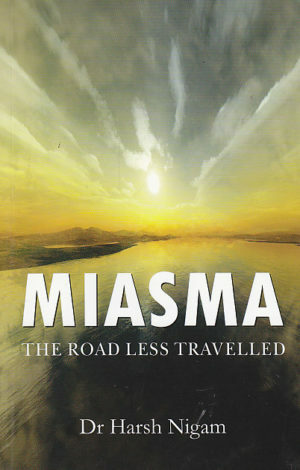 Miasma: The Road Less Travelled answers the following burning questions: Why should you know miasma; What is Miasma as per Hahnemann; What is Miasma by other stalwarts Kent, Allen, Roberts, Julian and others; Immunity and Miasma link; Miasma role in aetiology and pathology of disease; Miasma in management and prognosis of cases. Categories: Health, Health and Medicine, Homoeopathy, Mind, Body, Spirit. Tags: homeopathy, 9788131919217, alternative medicine, alternative therapy, complementary medicine, complementary therapy, health, homeopathic medicine, homoeopathic medicine, homoeopathy. Miasma: The Road Less Travelled is a comprehensive work on miasma, a much misunderstood and misinterpreted topic in homeopathy. Dr Harsh has meticulously analysed the majority of the work done on miasma and has explained how to identify the miasma of a patient and treat it so as to make a true cure possible. His straightforward way of explaining the aspects given by various teachers like Hahnemann, Kent, Ortega, Roberts, and others makes the task of understanding the concept of miasma, possible.